Dubai: Sharjah Commerce and Tourism Development Authority (SCTDA) organised a four-day “mega” familiarisation (FAM) trip targeting over 100 of the biggest travel agents and tour operators from Kazakhstan directly into the emirate of Sharjah. The trip was set up in collaboration with Arabian Explorers and focused on Kompas, one of the largest outbound tour operators in Kazakhstan that has been organising tours for both local and global destinations into this region since 2005. 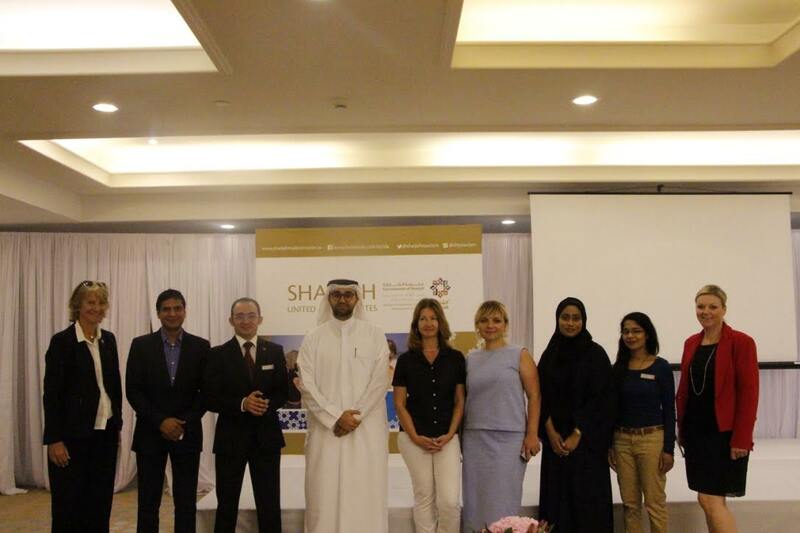 The highlight of the event this year was the dedicated “Sharjah Workshop” on the second day, where hoteliers had the opportunity to showcase their venues to the visiting delegations. Taking place in the ballroom of the Coral Beach Resort, the Workshop kicked off with a welcome speech and the screening of a film about tourism in the emirate. Hoteliers, set up displays promoting their facilities, then proceeded to network with the visiting Kazakhstani delegations before the workshop concluded with a presentation by the Director of Kompas on how to position the emirate and use all of the key selling points that Sharjah offers. The delegations schedule included hotel inspection visits to a cross section of accommodation facilities in the emirate – namely, Sharjah Grand Hotel, Sheraton Sharjah Beach Resort & Spa, Hilton Hotel Sharjah, Radisson Blu Sharjah, and Oceanic Hotel. In addition to that, visits to landmarks and tourist highlights around Sharjah were arranged to ensure all the visitors had a full feel of the emirate to take home with them. These locations included the Heart of Sharjah, Al Majaz Waterfront, Sharjah University City, and Al Badiya; as well as museums – Sharjah Museum of Islamic Civilization, and Sharjah Classic Cars Museum. Furthermore, visitors were treated to several leisure attractions from Sharjah Aquarium and Maritime Museum, to Al Montazah Water Park, Sharjah Arabian Wildlife Centre, and the Friday Market. This “mega” familiarisation trip is one of a series of direct B2B events planned this year and reflects the ambitious and aggressive marketing being undertaken by the Authority to promote Sharjah as a tourist destination. Events like these provide an excellent platform to promote the emirate as a prime tourist destination centrally into the sales chain. The previous mega-fam hosted through the outbound Ukraine company TPG held is already showing a positive return in hotel guests staying in the Emirate with growth up 14% on this time last year as a result of the marketing undertaken in that region. Sharjah has 105 hotel facilities, including 53 hotels and 52 hotel apartments, offering approximately 10,000 hotel rooms that can accommodate visitors while they enjoy the emirate’s diverse leisure, retail, and cultural offerings.